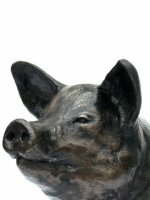 New bronze pig sculpture 'Susie' by sculptor Peter Close. 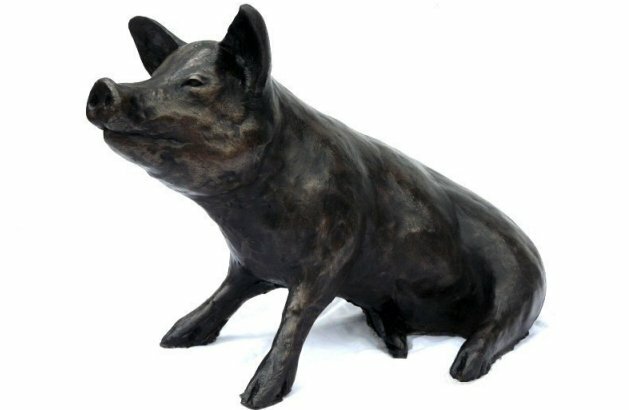 This lovely pig is cast in the highest quality cold cast bronze and is an open edition. 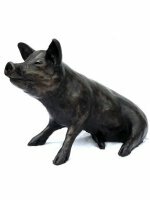 When I was a small boy, around six or seven years old, our walk to school took my Mother, sister and I past a small farmyard where lived a large and friendly pig. 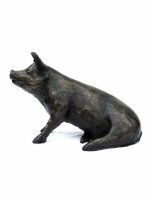 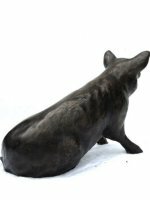 This cold cast bronze pig sculpture is made entirely by hand by sculptor Peter Close in his studio in Somerset.